Thinking of Joining Your Condo Board? This is it! This is the year you’re joining your Condo Board to become more involved with your condo community. Before you sign up, make sure you understand the realities of what being an effective condo board member means (hint: it’s not a place to be grumpy about your building). Both in our own experience as board members, along with discussions from the boards we support, is that the one thing we / they didn’t expect was the time commitment involved with being part of a board that was not yet running smoothly. 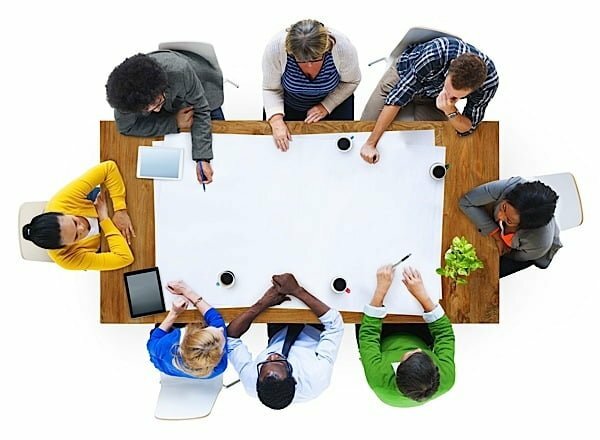 On average, you should expect to commit 15 – 20 hours a month for your board responsibilities – including attending board and committee meetings, as well as other administrative aspects depending on your role. If you and your other board members underestimate the time commitment involved in your roles, then the board may not be as effective or run as smoothly as you would like. Note that this time is for boards who are still refining their processes and communication strategies. Boards who have these items in place often have less of a time commitment each month. Part of your own board research is to find out where your board sits with these items (organization, process, etc.). Depending on your reasons for joining (e.g. to simply get involved versus to make significant changes), the real time commitment and actual organization of the board may sway or deter you. Prior to joining, make sure you understand what roles are open, along with the responsibilities tied to each one. • President: responsible for calling meetings, leading discussions and deliberations, creating agendas, managing legal operations of the board, approving expenses, executive aspects of managing the building, etc. • Vice President: responsible for acting on behalf of the President if he / she is unavailable. • Treasurer: this is the finance person on the board, responsible for ensuring bills are paid, debts are collected, books are in order, and so forth. Often, the Treasurer chairs a finance committee, advising on the financial health of the building. • Secretary: paperwork should be fun for the individual in this position as they’re responsible for taking, maintaining, and distributing meeting minutes, manage correspondence not related to the president or treasurer role, and so on. • Board Directors: these are the remaining members of the board whose responsibilities depend upon their specific skill sets, individual committees joined, etc. • Asking for tasks to be delegated to you, such as reviewing contracts, participating on a social committee, adding specific questions to the agenda, etc. • Deciding how and what you want to influence during your time on the board, such as seeing an increase in communication between the condo management company, condo board, and condo residents. If you decide on a specific action to be involved in, then you’re more likely to be engaged and committed to your board role. Each of these associations supports a unique aspect of condo board management. Everything from building maintenance, cost management, risk mitigation, grounds keeping, etc. falls on the shoulders of the board and it’s up to you to know what resources are available to ensure that you are successful in supporting your condo board. While you may have great intentions of adding value to bring about change to your board, it’s crucial that you account for the types of personalities you’ll encounter. Recognise that people may disagree with you and that’s okay. However, make sure that you and your board develop an environment that fosters open and honest communication without animosity or hostility. We suggest that right after your condo building’s Annual General Meeting (AGM), where new board members have joined and positions may have shifted,is to increase meetings for the first three weeks after the AGM, as many as one per week if required. This way, everyone gets to know each other and their individual communication styles, what their reasons for being on the board are, along with understanding the roles of each member. In addition, your board can set firm expectations in terms of code of conducts, privacy handling, and communication processes. While each board experience is different, we do recommend that prior to actually joining your board you understand why you want to join, along with the realities of being a board member. At the end of the day, if you set clear intentions, than being a board member is a rewarding experience where you improve the lives of the condo residents. To learn more about what being on a board is like, visit the open forum Alberta Condo Owners for Change and join the conversation.